‘Transformational’ South Auckland Te Papa? A Te Papa in south Auckland could be “transformational”, chief executive Nick Hill says. Decisions on a possible south Auckland version of Te Papa could be made in coming months, but the Government won’t be drawn on its prospects. A new business case for Te Papa Manukau has just been completed as the government begins to prepare for the “wellbeing” Budget in May. Auckland’s economic development agency ATEED wants to see the museum and cultural centre “the sooner the better”. “We know internationally that done right, these museums and investments like this can be really transformational,” chief executive Nick Hill said. Documents obtained by Stuff include references from an unnamed Government official to “good ministerial support” for the project, estimated at one point to cost about $40 million. “While Auckland stakeholders are very attracted to the proposal, we’ve been here before,” warned the official in the email from May 2018. The idea for a second iteration of the national museum Te Papa has been on-and-off since 2013. A spokesperson for Grant Robertson, who is both Minister of Finance and Associate Minister for Arts, Culture and Heritage, would not comment on anything that might be a Budget matter. Robertson, in a letter from last May, asked Te Papa to remove some wording from its draft Statement of Performance Expectations on the project. 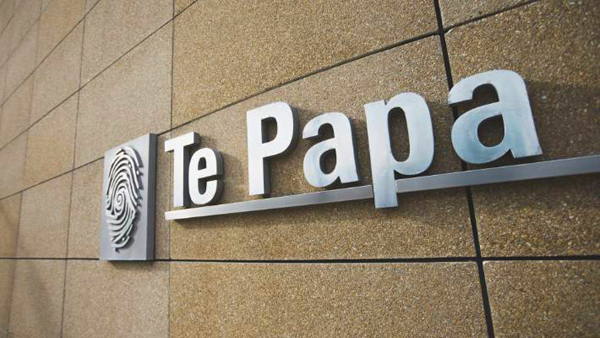 “Comments in the draft SPE that could create a perception that decisions have already been made about capital funding and the proposed Te Papa Manukau facility,” he wrote. There was an existing memorandum of understanding between Te Papa and Auckland Council for the Manukau facility in Hayman Park. The park is at the heart of some of some of Auckland’s poorest communities, with high numbers of Māori and Pasifika residents. “It initially started out a few years ago as essentially dealing with storage, and earthquake management risk,” ATEED’s Hill said. A briefing paper by the Ministry of Culture and Heritage from December 2017 spelled out the new concept. “Te Papa’s proposal is to create a youth and family oriented education facility that utilises STEAM (Science, Technology, Engineering, Arts and Mathematics),” group manager Karen Adair wrote. “Te Papa aims to utilise the national collections in art, matauranga Māori, Pacific cultures, and New Zealand history and culture. “[That will be] combined with learner-oriented digital learning opportunities to improve access to museums for young people and their families, and create a significant social, community and educational impact,” Adair wrote. A partners group has met several times, with 13 organisations invited to a meeting in May. They included Auckland’s leading museums and the council’s Ōtara-Papatoetoe Local Board. Manukau Ward councillor Efeso Collins attended one of two partner meetings in 2018 and told Stuff while the detailed concept is not clear he’d like it to be more than a static museum. “It should give life to our artefacts and give cultural representation for the things we appreciate and value,” he said. ATEED said done properly, Te Papa Manukau would be a tourism drawcard, could be a catalyst for local businesses nearby, and create jobs and enterprises in the local creative sector. “We want it to be as innovative and boundary-pushing as museums can be in how they think about curation, and how they work with local communities to curate their collections,” said Hill. Financial and proposed timings beyond a detailed business were redacted from the material obtained by Stuff from the ministry. The papers showed the new business case was to be completed in December, and the ministry have confirmed that was.